It’s just days before Christmas! I have been spending the last couple days wrapping presents and getting all the final pieces ready for the big day. As I have been wrapping things up, I realized I was completely out of gift tags. I started by wrapping and doing the classic post-it note with a name so I wouldn’t forget to add a gift tag later. 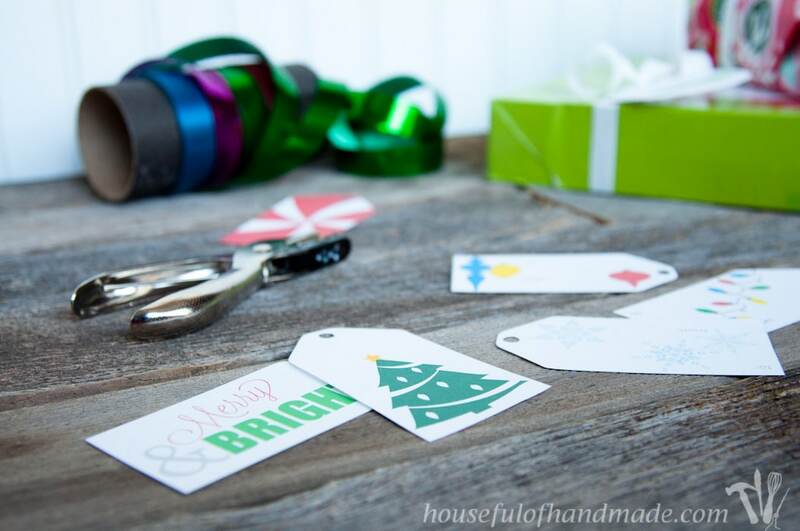 But then I decided to use some of my creative time to make some free printable Christmas gift tags to use and to share! I have a very classic look when it comes to Christmas wrapping. 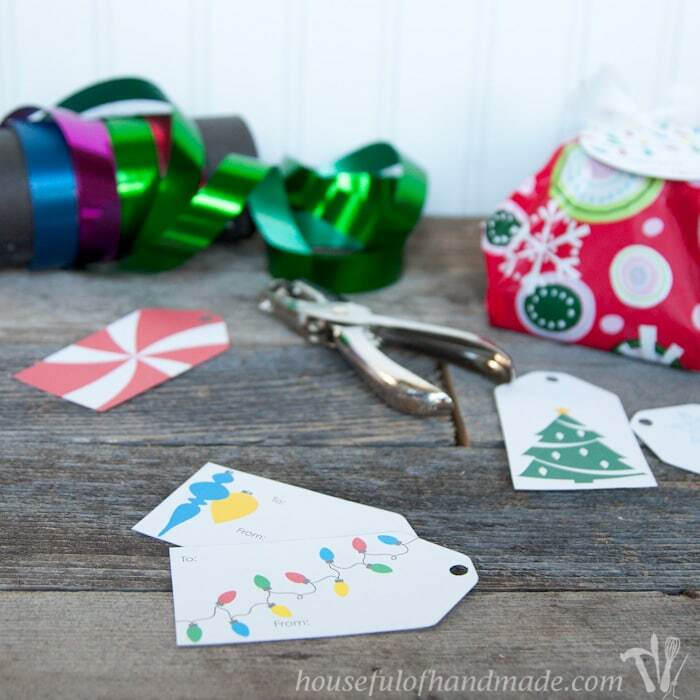 I love bright bold colored papers, shiny curly ribbon, and big gift tags. I figure my kids need a bright fun Christmas. Maybe as they get older I will do more sophisticated wrapping. 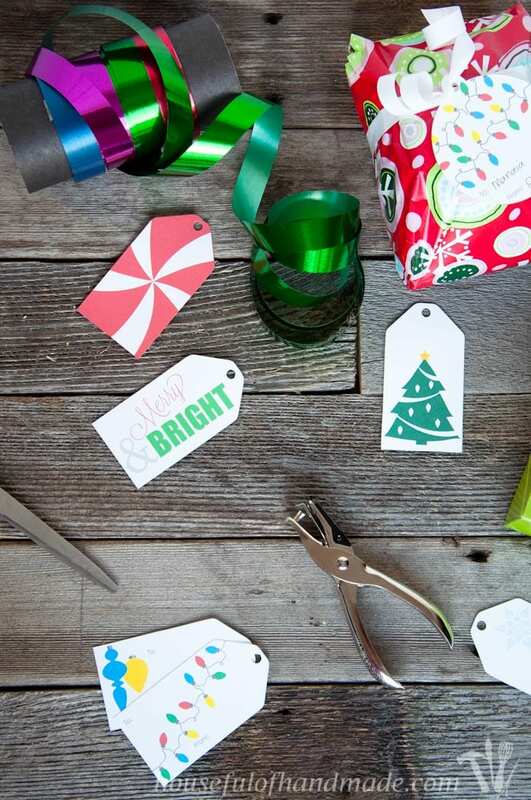 Sometimes I use colored butchers twine or jute wrapped around the present to hold the tags. That’s fancy right? But I do enjoy our bright classic wrapping. 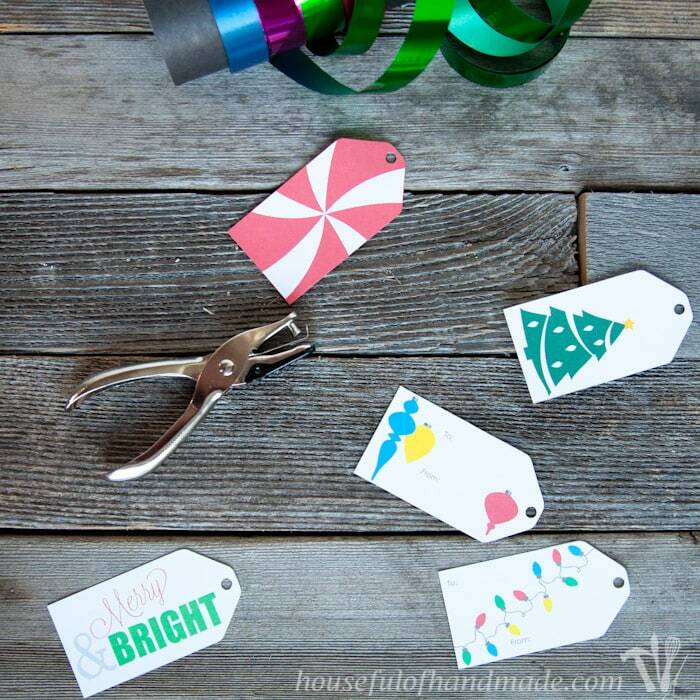 I love to share my creations, so I am sharing these easy to print and cut out Christmas gift tags if you too are spending your last days before Christmas wrapping presents too! It’ll only take a couple minutes to have these ready to use. Print them onto some white cardstock, cut along the outer line, then punch a hole in the top and you are ready to go! 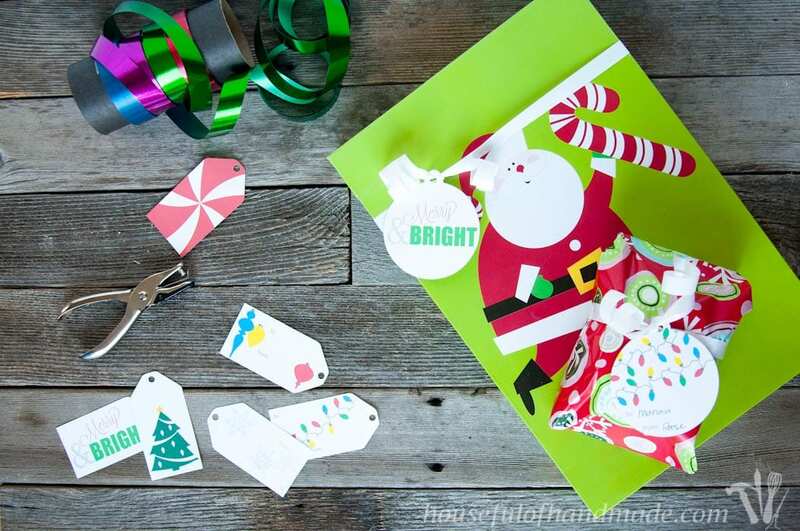 For more wrapping ideas and tags, make sure to check out Week 2 of the Merry Blogams link party which was all about gifting. These are super cute and exactly what I need! Thanks for sharing at Merry Monday! Thanks Dee! I hope you enjoy them.